Prime Minister Imran Khan on Thursday while addressing the parliament announced that arrested Indian Air Force soldier will be released tomorrow as a goodwill gesture. IAF pilot, Wing Commander Abhi Nandan was taken into custody yesterday as Pakistan Arm Force aircraft shot down IAF jet for violating Pakistan’s airspace. Ever since the tension between two rivalry states escalated, Pakistan leadership has been advocating for the peace and dialogue to move forward. 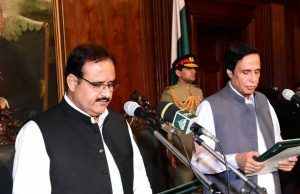 PM Khan and DG ISPR both in their addresses to the nation said that Pakistan has the capability, will, and resolve to fight a war; it has demonstrated by first successfully entering into Indian airspace and dropping bomb–without causing any human life lost– and then shooting down Indian jet and capturing their pilot. But we are peace loving nation and will ask PM Modi to not worsen the situation for his political agendas. Today again, as a good-will gesture of peace-loving Pakistan, PM Khan announced releasing captured Indian pilot; the act that people across borders lauded and greeted. Imran Khan has behaved like a matured leader. His unconditional release of the captured Indian pilot is a great gesture and it takes away reasons from Modi to escalate the conflict. Modi is the big loser in this confrontation and he has to blame himself for this. We in India may not like this, but in terms of pure optics, @ImranKhanPTI at the moment is winning the day by taking the moral high ground .. we have a strong case on terror but too many of our leaders busy calculating votes at the moment..
PAKISTANI PM KHAN SAYS DOWNED INDIAN PILOT TO BE RELEASED ON FRIDAY "AS A PEACE GESTURE"
By announcing that the captured Indian pilot will soon be released, Imran Khan has paved the way for deescalation. It’s a bold & brave move. PM @ImranKhanPTI government has scored massive wins in military, politics, diplomacy, morality and statesmanship in the last 48 hours. What a huge paradigm change. Finally a government devoid of personal interests & selfish goals. Pakistan UP on all fronts in this misadventure. Can we take Obama’s Nobel Peace Prize away and give it to Imran Khan? Please accept my heartfelt kudos. You have proved to be a Man of Peace. I am overjoyed for his parents and loved ones. What a time to be alive Alhumdulillah – My Pakistan , my PM @ImranKhanPTI and Pak Army has made me feel another level of pride today – I am in tears to see my entire nation stand together for #Peace ! Thank you @ImranKhanPTI for releasing #Abhinandhan Thank you to all those Indians and Pakistanis who relentlessly campaigned for the war to end before it even began. Thank you all, again, for stubbornly believing that peace is the only way forward. Peace and love. Always. Never seen a Pakistani PM so outplay an Indian PM so completely.